I used to think there was nothing better than waking up in the morning to the smell of bacon frying in the kitchen. And then I woke up one afternoon from a deliciously languorous nap, having fallen asleep with a book on my chest, to the smell of bacon frying in the kitchen. I’d like to offer a recipe, but this being Germany, all the components were pretty easily attained. 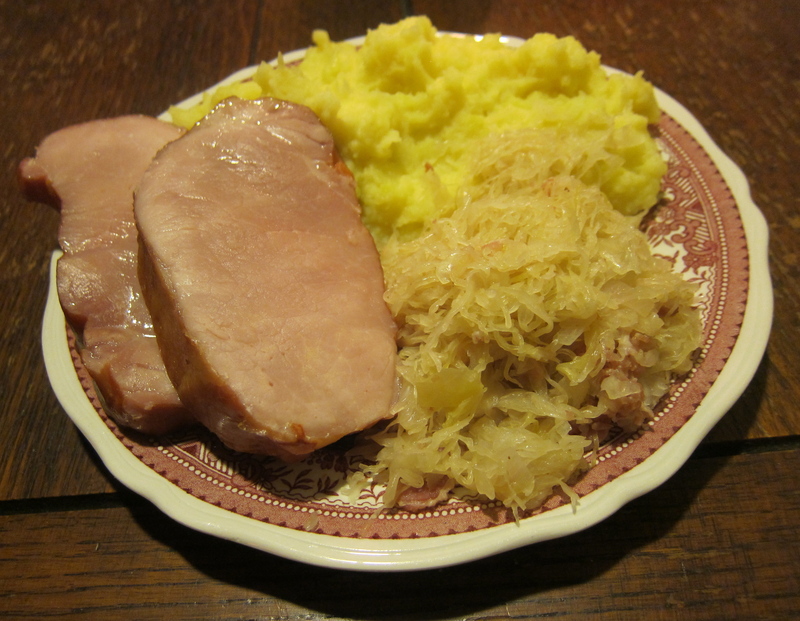 The log of kasseler was purchased cured and ready for warming up in the oven; the mashed potatoes were pretty straightforward — though, the chef said to be sure to add lots of butter and boil the potatoes with the skins on, peeling them after, so they’re more flavorful and sweet. 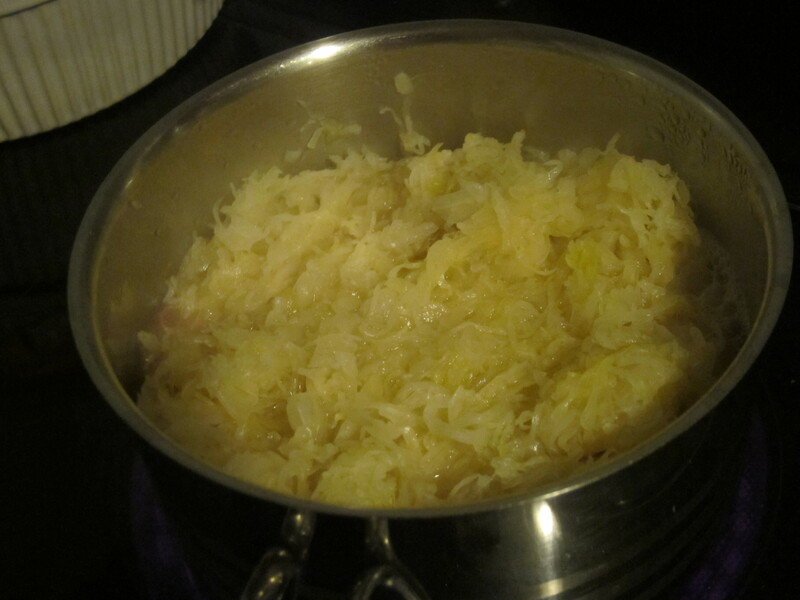 The sauerkraut was tweaked, though. Minced bacon and onions were fried up in butter before being mixed in with the kraut and heated through. And how was it all? Very very tasty, especially if the sweet buttery mash, tangy sauerkraut and rich, smoky pork are combined in a large bite. Just the thing to climb out of a nap to find on the dinner table. And, the perfect prelude to yet another nap.